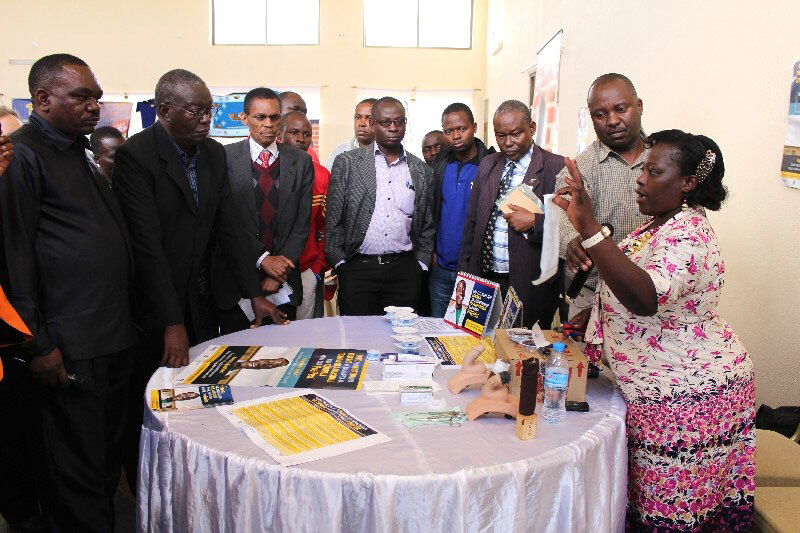 The USAID-flagship Maternal and Child Integrated Program (MCHIP) Voluntary Medica Male Circumcision (VMMC) Project led by Jhpiego, this week held its first end-of-program results-sharing event for Iringa and Njombe regions at Makambako Town. Hallmark MCHIP en-of-program events will be held on 2nd October (National Technical Forum to Discuss Project and Research Results) and 3rd October (Summation of Project Results, Guest of Honor Remarks, and Recognitions). 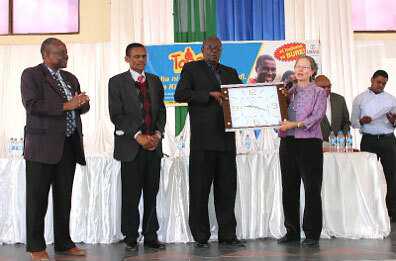 Iringa Regional Commissioner Hon. Asseri Msangi (in dark suit, hands on the table) listens to MCHIP-trained Illuminata Sanga, one of more than 200 nurses providing safe medical circumcision in the southern highlands of Tanzania, as she explains PrePex, a new medical device and procedure being developed to facilitate non-surgical VMMC of adults as part of a comprehensive HIV prevention strategy. 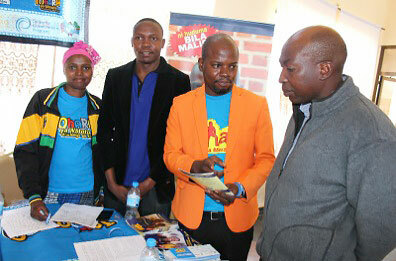 MCHIP VMMC Peer Promoter Ladislaus Ngeresa speaks with a delegate who stopped at their booth. USAID Advisor for Programme Intervention in Iringa and Njombe Joan Mayer presents a gift to Njombe Regional Commissioner Hon Msangi in recognition of his leadership and support to the scale-up of VMMC in his region. Looking on are Njombe Regional Medical Officer Dr Samwel Mgema and Iringa Regional Medical Officer Dr Salim Robert Mahimbo. “Given the potential for high impact of VMMC on HIV prevention, USAID is committed to support the Ministry of Health and Social Welfare, the regional administrations and implementing partners to further scale-up this intervention,” added Ms Mayer.